I didn’t realized how rare it was to witness the emergence of a masterpiece before December 7, 2013. “A Love Supreme”, “A Raisin in the Sun”, Alvin Ailey’s “Revelations”, often times the works I regard as masterpieces were created before I was born, but the thing about a masterpiece is you know one when you see one. It rocks your head back and socks you directly in the breadbasket. After seeing Camille A. Brown’s “Mr. Tol E. Rance” my head has been popped up Rock ‘Em Sock ‘Em Robots style. Like “Revelations”, “Mr. Tol E RAncE” was born from choreographer Camille A. Brown’s personal experiences. Frustrated with the game many artists must master in order gain recognition or make a living, Ms. Brown started on a journey that culminated in this powerful, introspective piece. 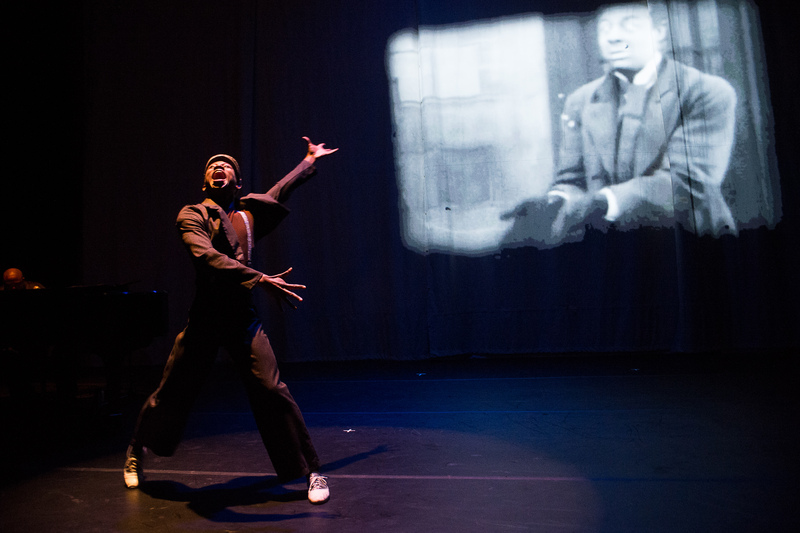 Through exploring her own emotions, Ms. Brown was also influenced by Spike Lee’s “Bamboozled”, Mel Watkins’ “On the Real Side” and the idea of the modern day minstrel. Utilizing sketch comedy, live music and animation, “Mr. Tol E RAncE” presents a mirror to the audience allowing them to examine the influence that stereotypes have had on black culture and art. The stereotype is the mask the artist wears to become successful, but what happens when one becomes imprisoned by it? Hattie McDaniel was once quoted as saying she would rather make $700 a week playing a maid than make $7 a week being one. This sentiment speaks to the first act of the production. 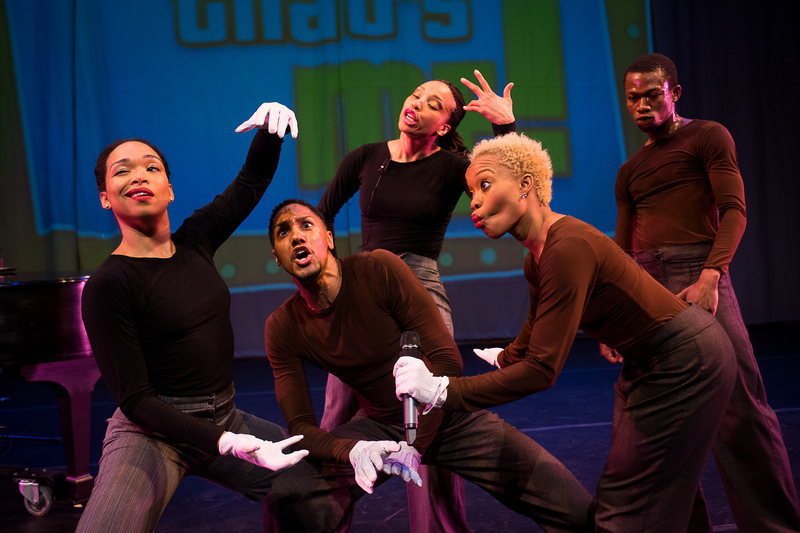 Beginning with photographs and videos of comedic actors and shows, the dance troupe then provides a blistering, rhythmic history lesson, sometimes acting out the gestures of famous black characters. An episode of “The Twilight Zone” could best describe act two. The particular one that comes to mind is titled “The Masks.” Family members gather at the home of a wealthy family member whose dying. He demands the members to where masks he selected all night in order to obtain their inheritance. They comply and when they are able to remove the mask, they realize that their face has contorted into the same shape as their mask. As much as the first act reveals how stereotypes were used as a means of paving a way, the second act shows how stereotypes have become the main contributor to black culture and the road that was paved has lead black entertainers to a realm where minstrelsy is not only perpetuated but expected. Mixing nostalgia with bitter truths, “Mr. Tol E RAncE” can brutal on the eyes and soul. The comedy and jiving lower our guards and lure us in, then without warning the rug is snatched from under your feet. Suddenly, you realize the role you play in the perpetuation of today’s stereotypes. As much as black entertainers wear a mask, we assist and often times insist on them wearing it. Afterall, we are the ones that subscribe and purchase what these entertainers are peddling. The penultimate section of act two contains two riveting solos by Waldean Nelson and Camille A. Brown, each struggling to break away from their masks. The work ends with a dialogue between the dancers and the audience. Explosive and extremely emotive this work barrels through the consciousness like a bullet shattering through panels of glass. If works of art were required to be seen, this would be one of them. It is the most telling piece of edutainment I have seen in a long time. In short I could sum up “Mr. Tol E RAncE” in three syllables, tour de force. Camille A. Brown & Dancers performed “Mr. Tol E RAncE” at Kumble Theater for the Performing Arts on December 6 and 7. Some may always think of December 7 as a day that will live in infamy. I will view it as a day of awakening. There is no way you can sit down to view “Mr. Tol E RAncE” and walk out the same. When this work is performed again I urge everyone who reads F.A.M.E NYC to see this seminal dance piece and witness this masterpiece with your own eyes, mind and spirit.